With the festive season just around the corner, there’s no better time to #JustAddPeppadew. With a range featuring both hot and mild variants, PEPPADEW® products are easily incorporated into any home chef’s repertoire. A proudly South African brand through-and-through, the selection of products in the PEPPADEW® range makes spicing up any dish or condiment an absolute breeze. The versatility of the range extends to applications from pizza, pasta, casseroles, stews, sandwiches, dips or cheese platters – the possibilities are truly endless. The dynamic range of PEPPADEW® products includes the universally-loved sweet piquanté peppers, as well as juicy jalapenos, traditional atchars, spicy relishes, pickled onions, pasta sauces and addictive Splash-On sauces. This year, why not liven up your festive dishes with a pop of PEPPADEW® Piquanté Pepper red, or add a jalapeno bite to that old-time favourite. For recipe ideas, product information and more, visit https://www.peppadew.com/ and follow us on Facebook (/PeppadewSA) and Twitter (@peppadew_za). WIN! 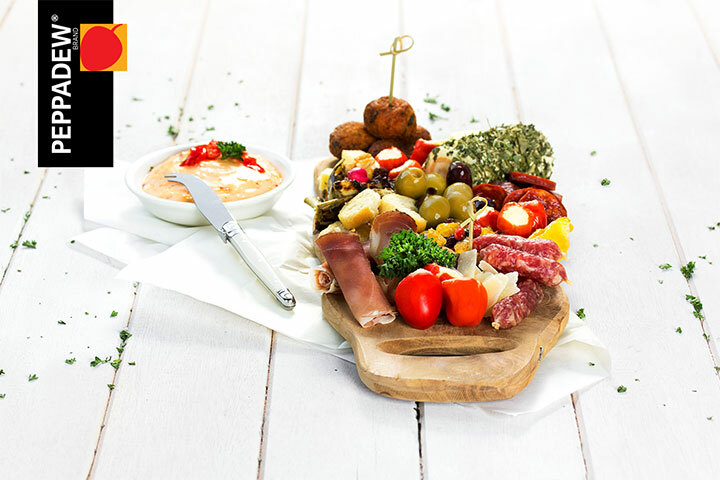 We’re giving away 1 PEPPADEW® hamper worth R1 000! To enter, simply complete the entry form below. Terms and conditions apply. Competition ends 31 October 2018.